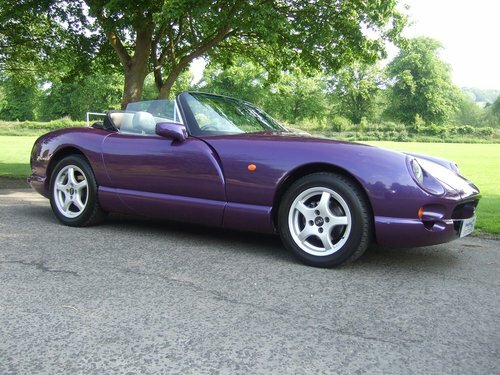 Purchased Direct from its last owner of many years, we’re delighted to offer this Fab-Looking Chimaera for sale! 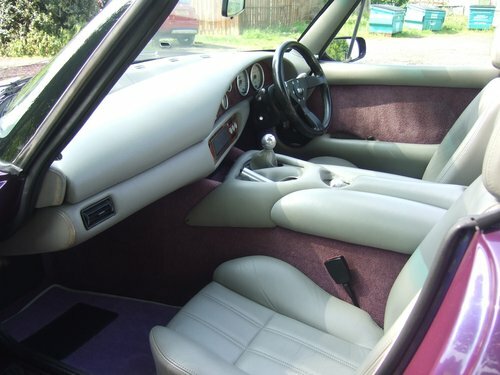 Finished in the unusual colour scheme of Amaranth Pearl with Nimbus Grey Half-Hide Trim, Lilac Carpets with Black Mohair Hood. 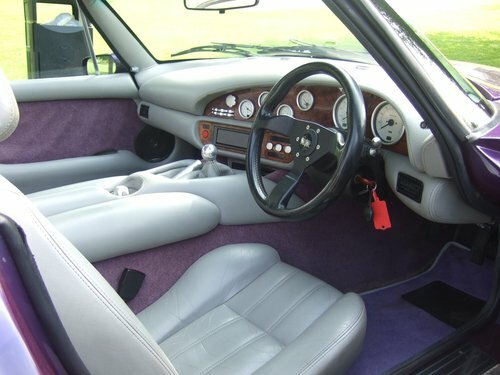 Fitted with all the usual Chimaera Specification including Power Assisted Steering, Walnut Veneer Dash Panels, All Aluminium Switchgear, CD Head-Unit, Electric Windows/Mirrors, Alarm/Immobiliser, etc. 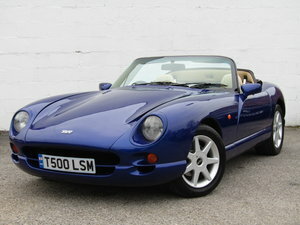 Full Service History from new and will be fully serviced and prepared by ourselves prior to sale. 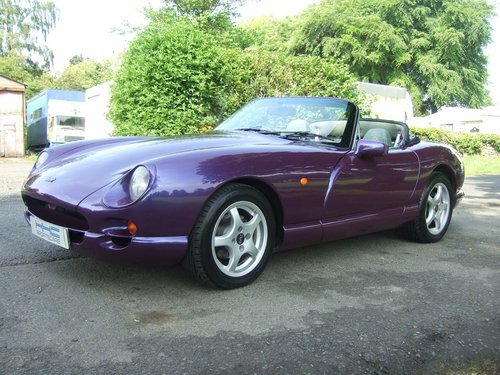 The Original Chassis on this Car is in Remarkable Condition with the benefit of little or no winter use over the 47,000 miles that the Car has covered. 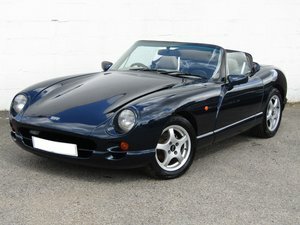 Part-Exchange & Warranty available and please don’t hesitate to contact ourselves for any further detail or information. 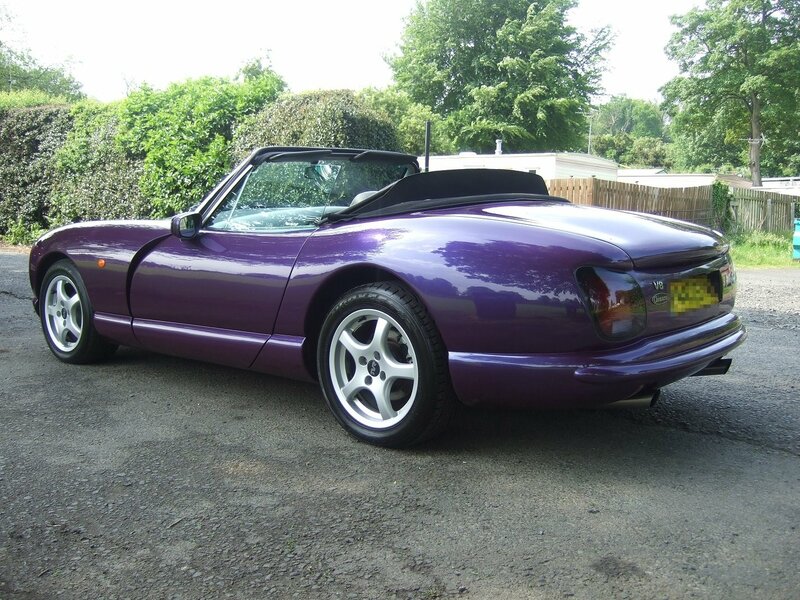 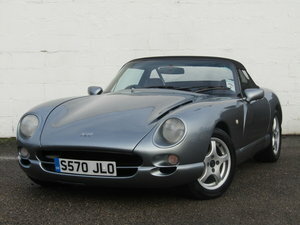 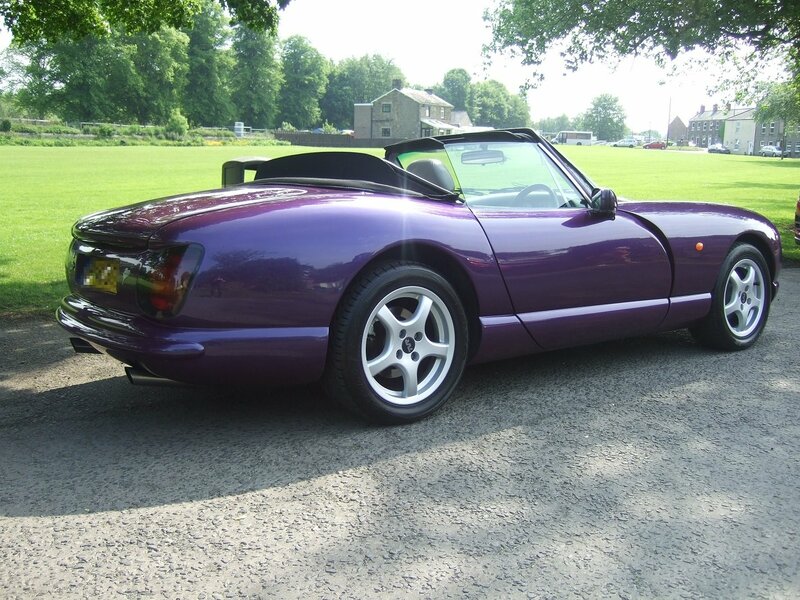 ALL TVR MODELS WANTED. 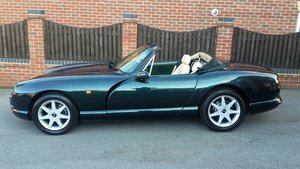 ANY CONDITION, ANY MILEAGE, ANYTHING!